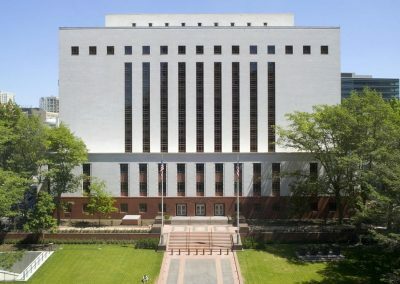 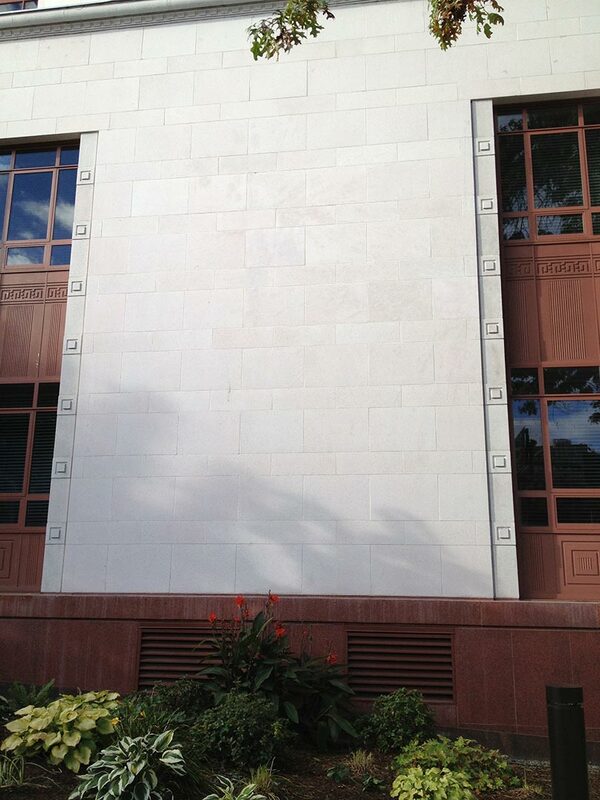 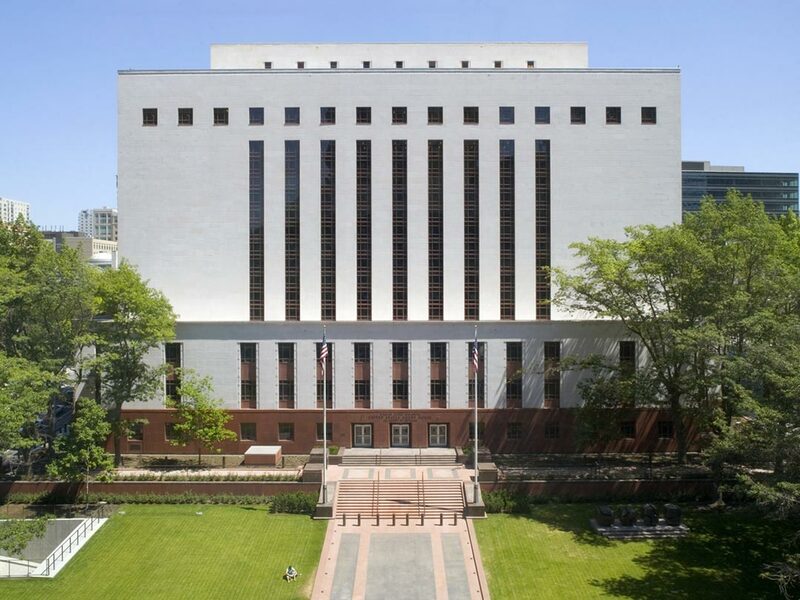 Seattle’s Nakamura Courthouse is a Federal Building clad in white glazed terracotta manufactured by Gladding, McBean and Co., one of the 20th century’s premiere manufacturers of architectural terracotta. 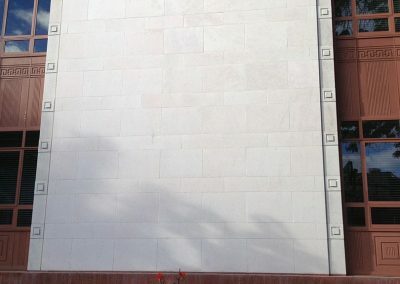 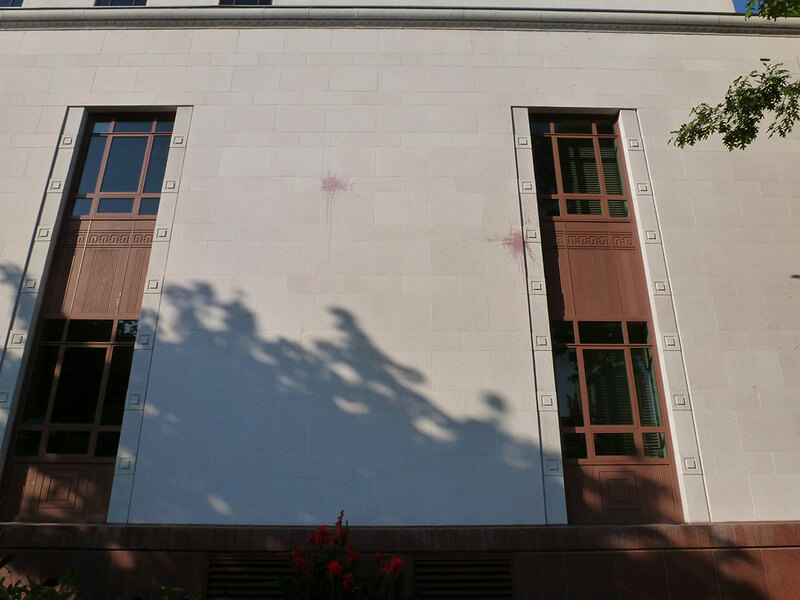 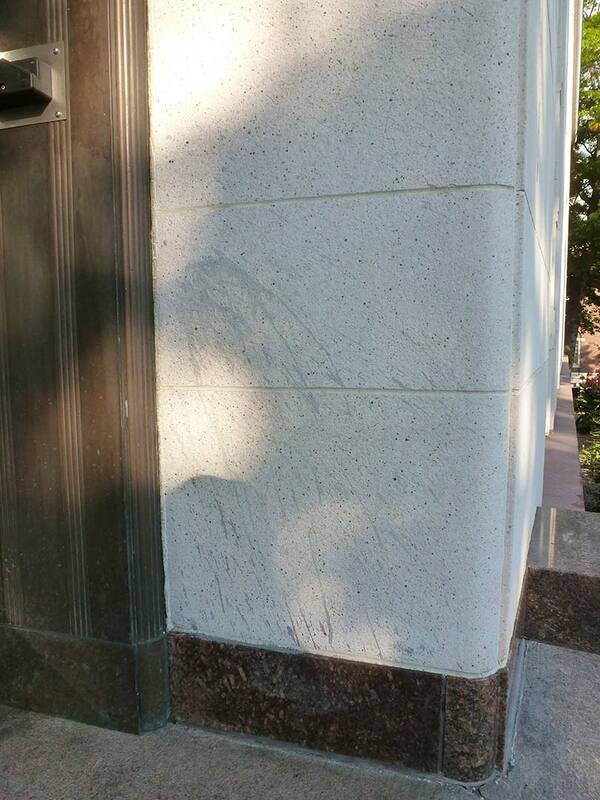 In the summer of 2012, the courthouse’s principal façade was paint bombed during a protest in conjunction with the Occupy Movement. 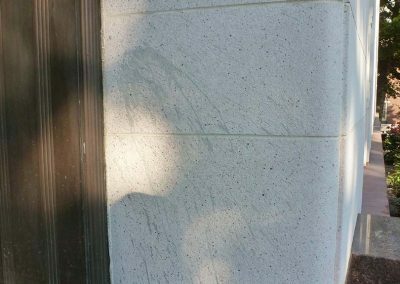 The owner acted quickly to remove the red, blue, and fluorescent green paint by hiring a contractor to power wash the surface. 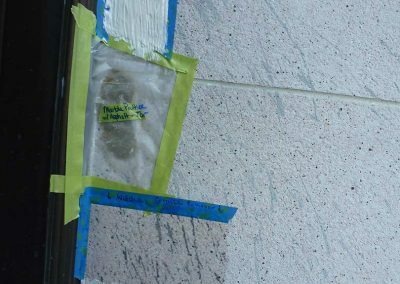 This removed the majority of the paint but caused some of the mineral pigments to be driven into the interstices in the white terracotta, leaving an unsightly ghost of the damage. 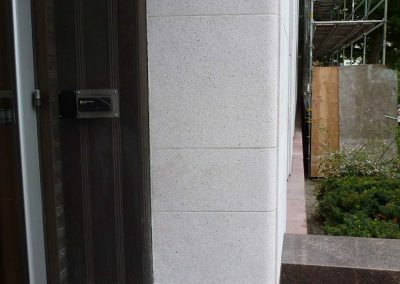 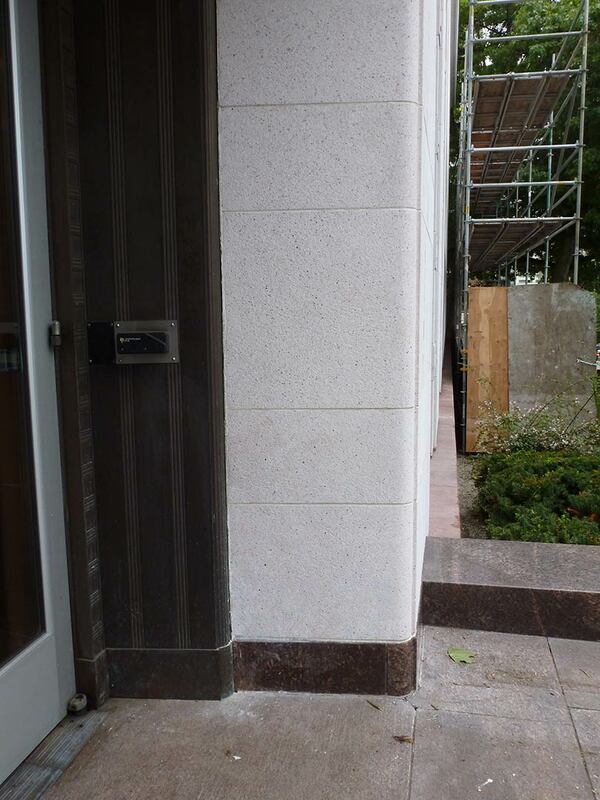 retouched extensive areas of the surface with conservation grade exterior paints. 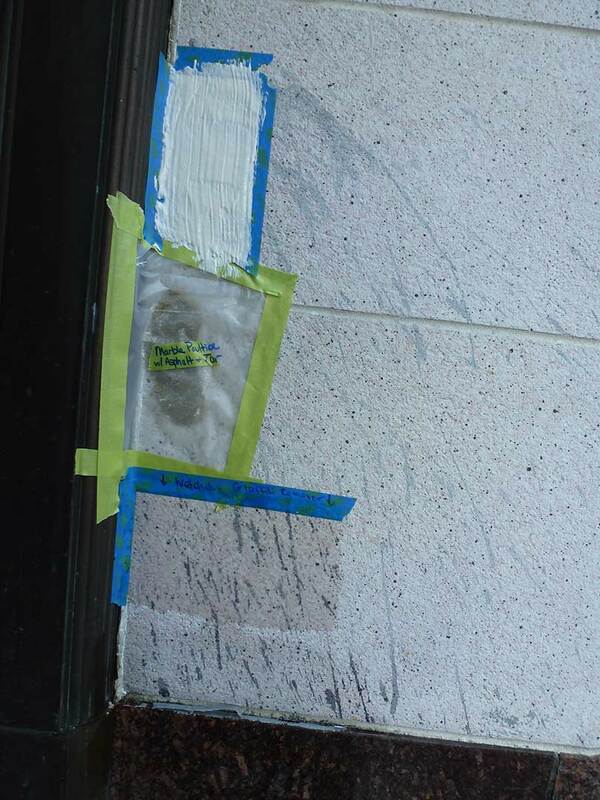 Graffiti cleaning and removal and the masking of the graffiti was completely successful; however, the treatment demonstrated how important it is for clients to seek advice from a preservation professional before undertaking such delicate projects.